Home > Moving Guides > Auto Shipping > Shipping Your Vehicle > What Is the Average Cost to Ship a Car? There are a lot of factors that come into play when determining how much it would cost to ship a car. The factors that influence how much the shipping will cost are the distance to travel, size of the car and method of shipping. If you are shipping a normal sized sedan 1,000 miles using an open door-to-door transport service, the average price will be around $1,000. While you're deciding, read up on the pros and cons of auto shipping. Does the method of shipping affect the cost? There are different methods to ship cars -- all of which have their own advantages and disadvantages. While some methods are more beneficial, they can also be much more expensive. You will pay for convenience. Open transport is your cheapest option and considered to be the primary auto transport method in the industry today. If you are looking to arrange an open transport, they are the easiest to set up and the quickest option for both you and the carrier. Open transport is about $200 cheaper than closed transport, but it leaves your car vulnerable to the outdoor elements. Most vehicles used on a daily basis would be able to withstand auto transport on an open carrier. Enclosed carriers are rare and only necessary if you have an antique, exotic or very expensive vehicle. Enclosed car carriers are built lower to the ground than a standard semi, so it's easier to get the vehicles on and off the truck. The lower ground clearance means shorter ramps and a less severe angle for loading your car. 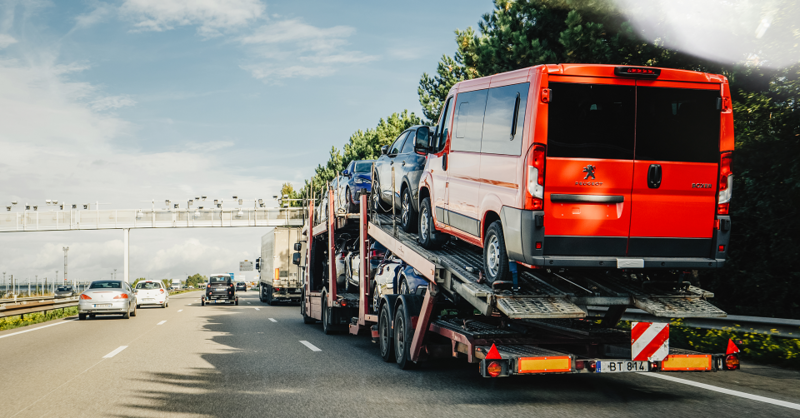 Typically, if you are opting to share the transport with other vehicles, the cost could fluctuate and could end up saving you a good amount of money. Before you decide on which carrier to go with, we suggest doing your research and getting as many estimates as possible. How does distance affect the cost of shipping a car? One of the most influential factors on the cost of shipping a car will be the distance that the car will have to travel. The further the car has to go, the more expensive it will get. Most car shipping companies have a base price per mile shipped, and the fare decreases the further the car goes. For example, it may cost $0.75/mile to ship your car up to 1,000 miles and drop to $0.60/mile for anything over that. TIP: Remember to have your drop off and pick up location zip codes ready before you request quotes. How else affects the cost of shipping? The size of the vehicle will also have a big impact on the price of shipping. Heavier cars, such as pick-up trucks and SUVs, pay an extra $100 to $500 when shipping a vehicle. Know your vehicle's make, model and year for the most accurate quote. If a car isn't operable, it will cost more to ship. Why? The transporters won't be able to operate the car and load it normally. They will add fees on to the final price if they need to employ special equipment or use extra time loading the vehicle. Another factor to consider is the time of year. Shipping your car will cost in peak months. If you try to transport your car in spring or summer, expect to pay $200 to $300 more. Avoid the surge prices on transporting by shipping your car during winter or non-peak months. Is it cheaper to transport a car by train? Rail service is more popular with Northeast to Southwest and vice versa. However, popular railroad lines do not book with a customer if they are only moving one or two vehicles. They sell their space to auto transport companies. Since routes and rates are constantly changing, they typically only use the space for commercial customers. Whatever isn't sold to commercial shippers is then sold to auto transport by rail companies. The advantages of moving your car by rail are that it's cheaper, practical and convenient. Since gas prices are on the rise, the cost of transporting a vehicle by truck is also on the rise. Shipping via rail could save you some money if you are able to find a rail company with an open spot. Shipping by rail saves you 55 percent on average, with rates as low as $250 for certain destinations. It's definitely worth looking into and using, if a viable option. How do you choose an auto shipper? Once you know what to expect, it's time to find an auto shipper near you that fits your needs and budget. Fill out free auto moving quote form to compare rates from several auto shippers in your area. Rate this guide What Is the Average Cost to Ship a Car?